Produced by father and son fourth generation cheese makers Petros and Kosta Avramides , in the beautiful byzantine town of Kastoria, famous for its unspoiled beauty and fur trade. Our feta is genuine Greek sheep’s milk feta. It is slightly firmer than the very soft “Americanized” versions most Greek cheeemakers send to America (who increase moisture content to reduce costs). The tiny Stymfalia village produces true mountain cheese, its fairy tale like bucolic grassy terrain are ideal for cheese production. The cheesemaker is at 800 meters altitude, and the milk is collected from as high as 1900 meters. Here the tradition is to handcraft barrel aged feta cheese, and our producer is the regional governor, and helped preserve the region’s history by spearheading the effort to built the Stymfalia museum. Father Thanasi and son Giorgo, produce exceptional quality hard cheeses. Here we source our PDO SFELA cheese, a local cheese known in the Kalamata region, as the “feta of the fire”, it is firmer than feta, and can be grilled or fried without melting. They also produce our Kefalotiri, and Graviera cheese, both of which are award winning. Elassona village is famous for its dairy production, nestled between peaks of the famous Mt. Olympus, on a beautiful lush green plateau. Here we source our grass fed feta cheese when our own facility cannot keep up with demand. True story, since 2010 we have tried thousands of olive oils, met hundreds of producers, and never found another oil suitable for bottling as Olympiana Early Harvest, until we tried the oil from the Papadakis family in January of 2015. 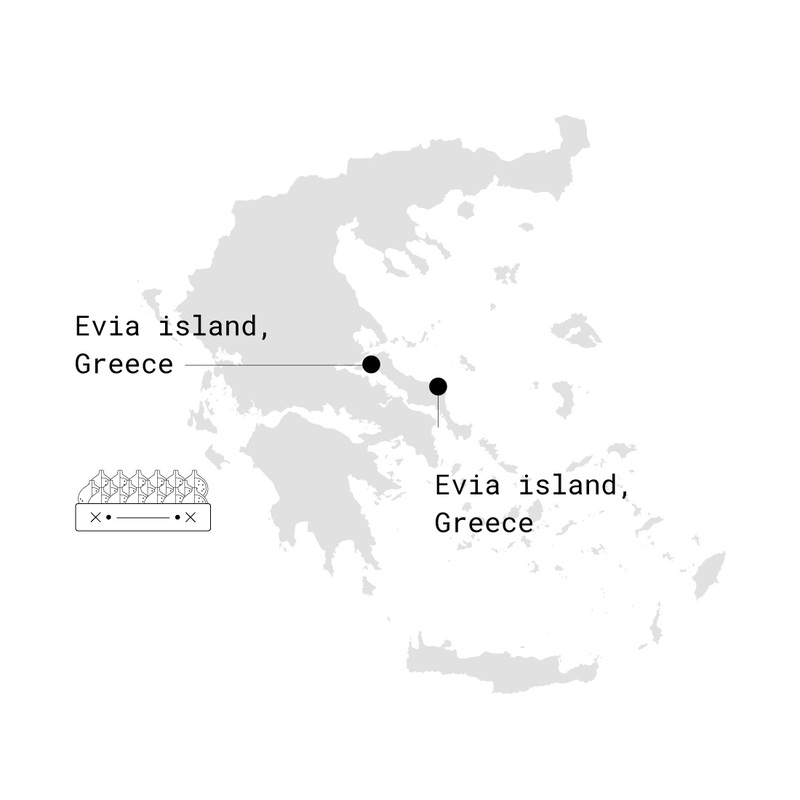 100% of the olives are from the family, in world famous Sitia on the island of Crete, together with Kalamata the most famous olive oil producing region in Greece. We have worked with the Kontopoulos family for generations, and they are famous in southern Greece for their quality. They are both growers and olive millers. 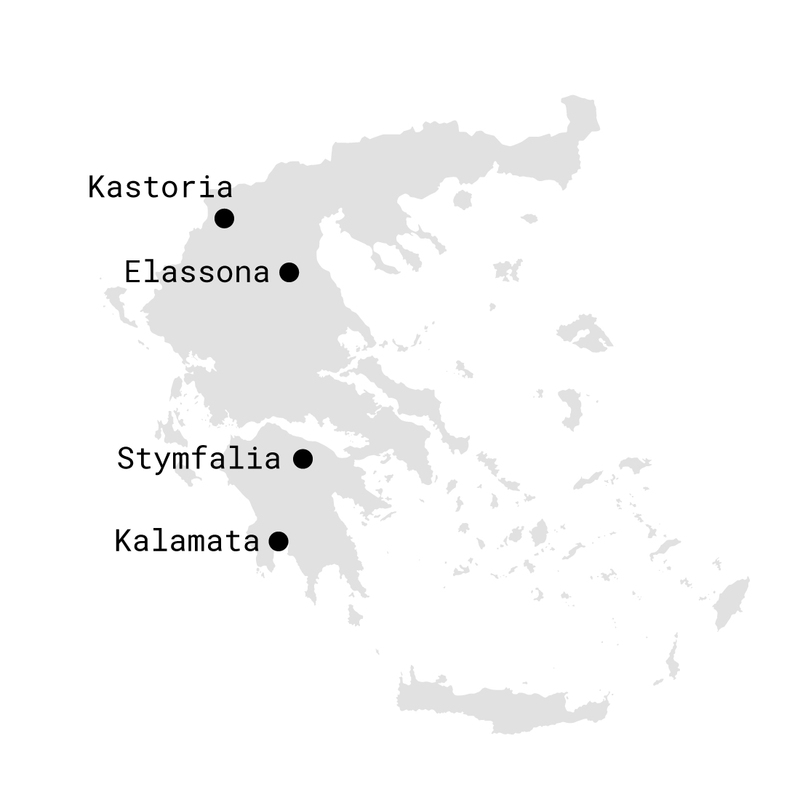 Located in the village of Androusa, 15 km from Kalamata, this is the olive capital of the world. Halkidiki is in northern Greece, Macedonia.